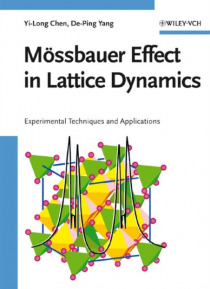 This up-to-date review closes an important gap in the literature by providing a comprehensive description of the M ssbauer effect in lattice dynamics, along with a collection of applications in metals, alloys, amorphous solids, molecular crystals, thin films, and nanocrystals. It is the first to systematically compare M ssbauer spectroscopy using synchrotron radiation to conventional M ssbauer spe… ctroscopy, discussing in detail its advantages and capabilities, backed by the latest theoretical developments and experimental examples. Intended as a self-contained volume that may be used as a complete reference or textbook, it adopts new pedagogical approaches with several non-traditional and refreshing theoretical expositions, while all quantitative relations are derived with the necessary details so as to be easily followed by the reader. Two entire chapters are devoted to the study of the dynamics of impurity atoms in solids, while a thorough description of the Mannheim model as a theoretical method is presented and its predictions compared to experimental results. Finally, an in-depth analysis of absorption of M ssbauer radiation is presented, based on recent research by one of the authors, resulting in an exact expression of fractional absorption, otherwise unavailable in the literature. The whole is supplemented by elaborate appendices containing constants and parameters.